At Barrington Hall we provide motor yacht charters around the world on various luxury yachts. 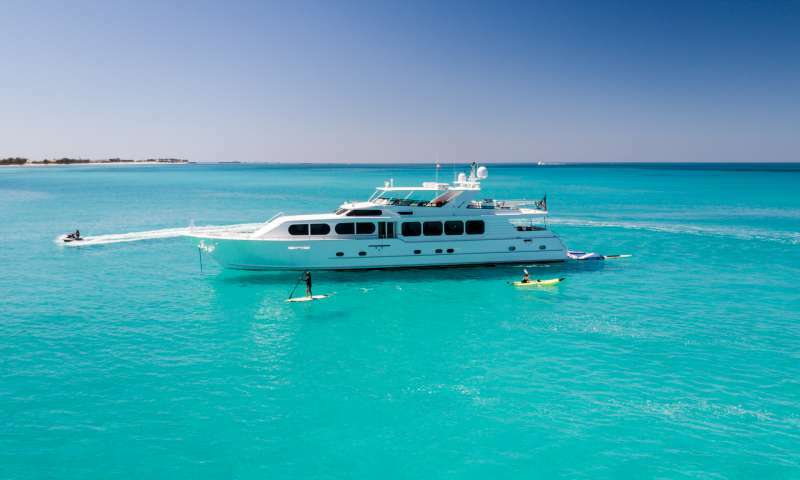 The Motor Yacht listed below, IL CAPO, is one of the many motor yachts we offer for charter. 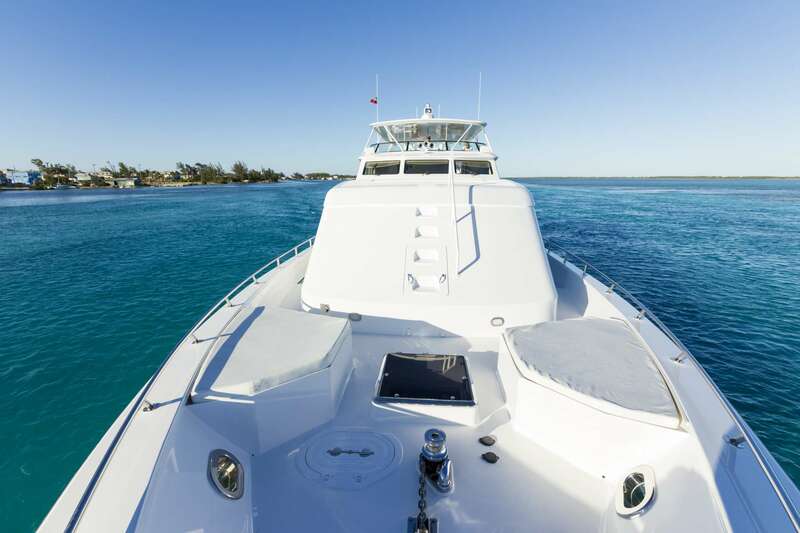 Please contact us for up to date information on IL CAPO or any other yachts in your desired location. 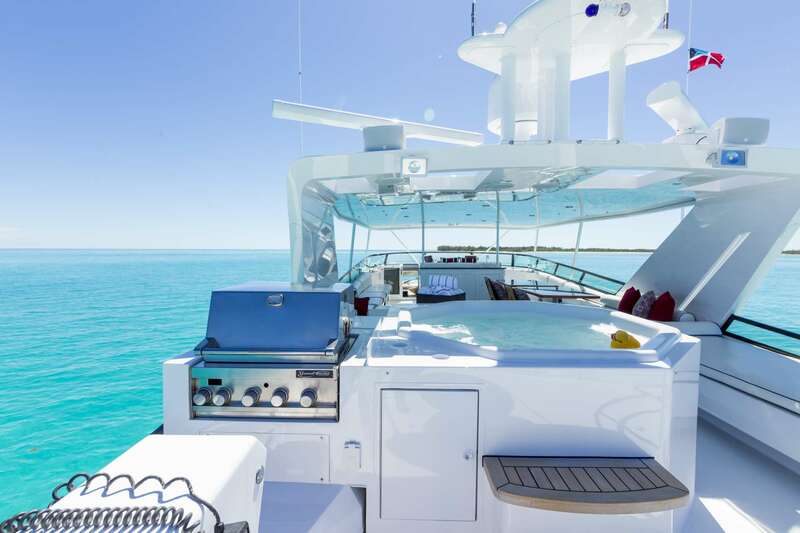 IL CAPO has been recently refit with upgrade of flooring, soft goods, entertainment systems and much more. 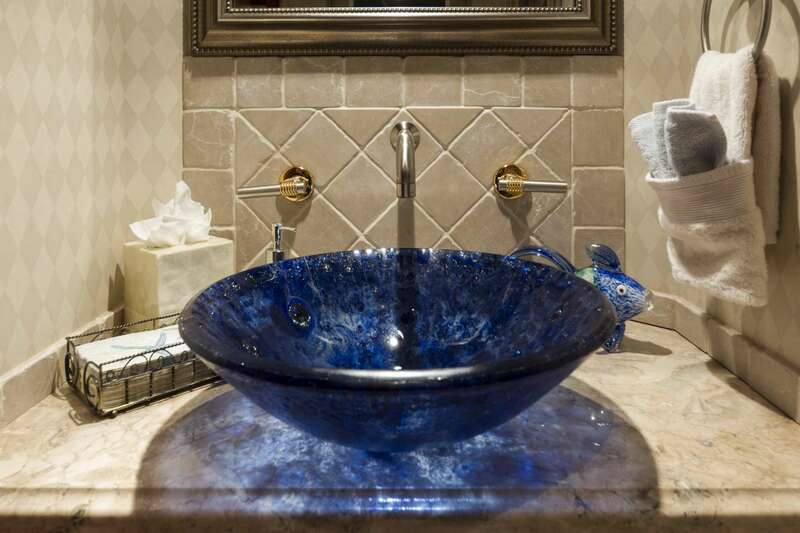 Glass tiles and mother of pearl line the walls while white tile floors. The wood and stainless steal cabinetry offer a modern and sophisticated look. Pops of colorful throw pillows add cool, calming accents decorate the main salon which boasts white couches and grey and black accent chairs. The yacht dazzles with new name boards with multi-colored LED lights. 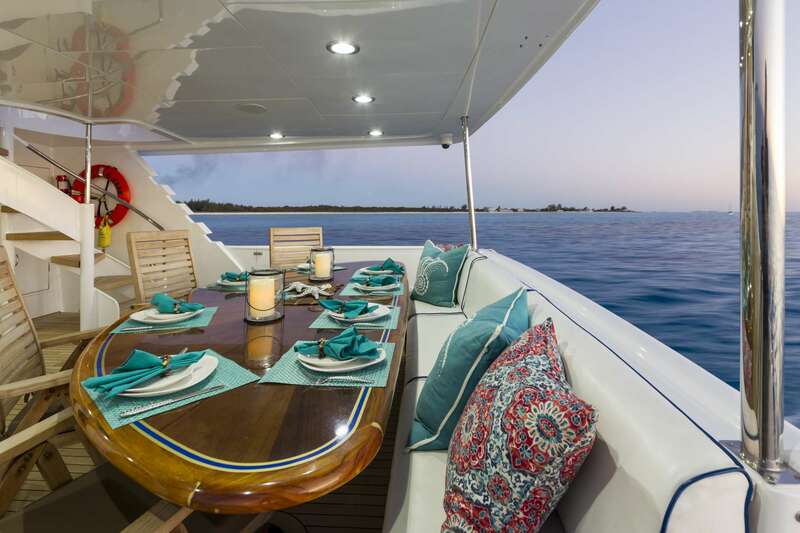 With a brand new interior, IL CAPO is easily one of the youngest Browards available at present. 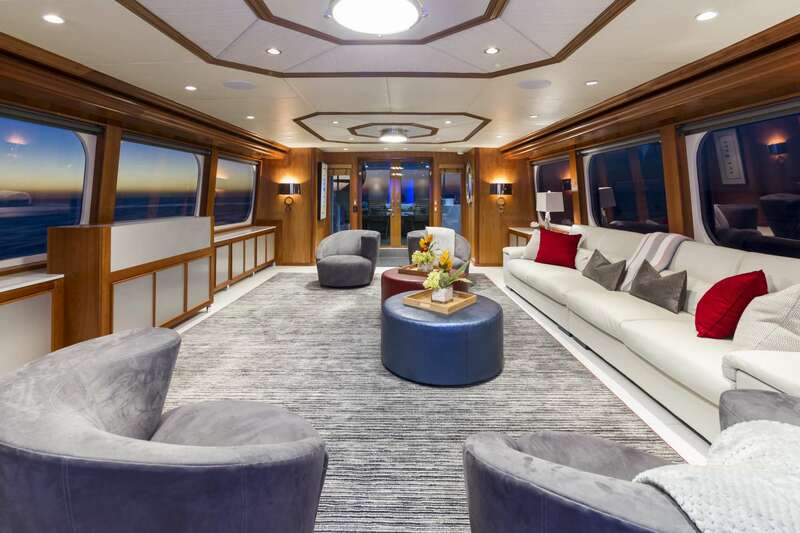 Enter the main salon from the aft deck through sliding glass doors. Enter the full-beam salon has light wood paneling, entertainment system and large windows for lots of natural light. 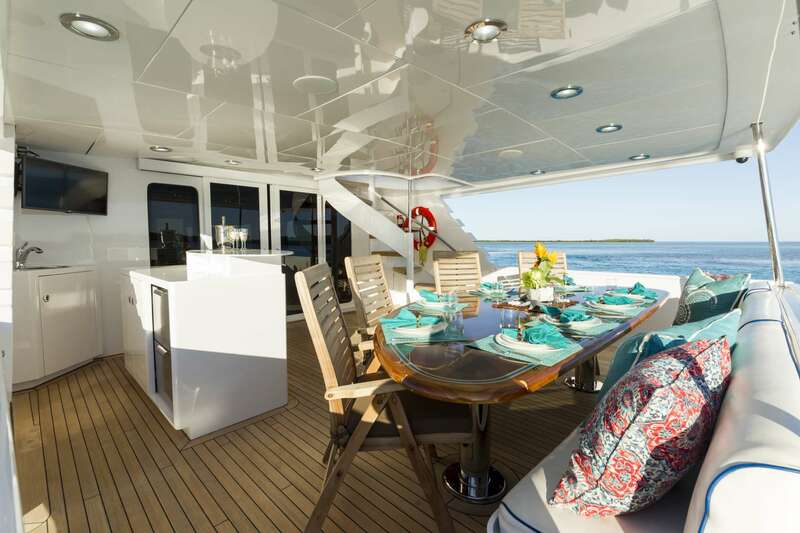 For al fresco dining, the covered aft deck offers a table with seating for eight (8). Port and starboard stairways lead down to the swim platform. 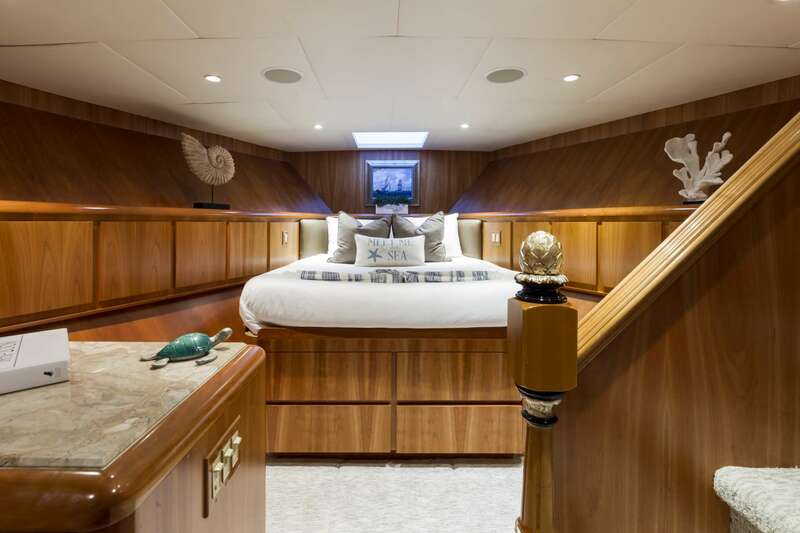 The transom allows access to the crew's quarters, which have accommodations for 4-5 including a private captain's cabin and crew mess area. Access to the staterooms is forward to port and there is an on-deck day head to starboard. 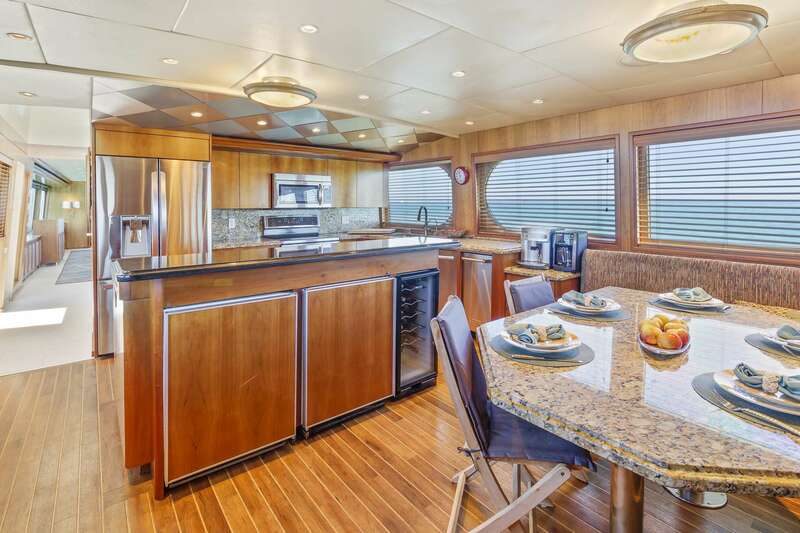 The "country kitchen" style galley is forward and has an informal dining settee to port and companionway leading to the VIP stateroom to starboard. The raised pilothouse can be accessed from both port and starboard. 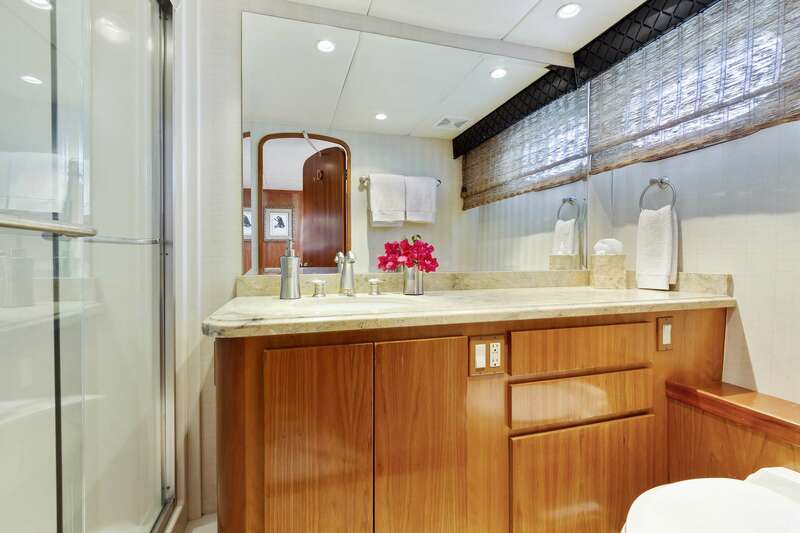 The master stateroom is full-beam amidship with centerline King-size bed and His & Her Baths featuring a custom "walk-by" shower. 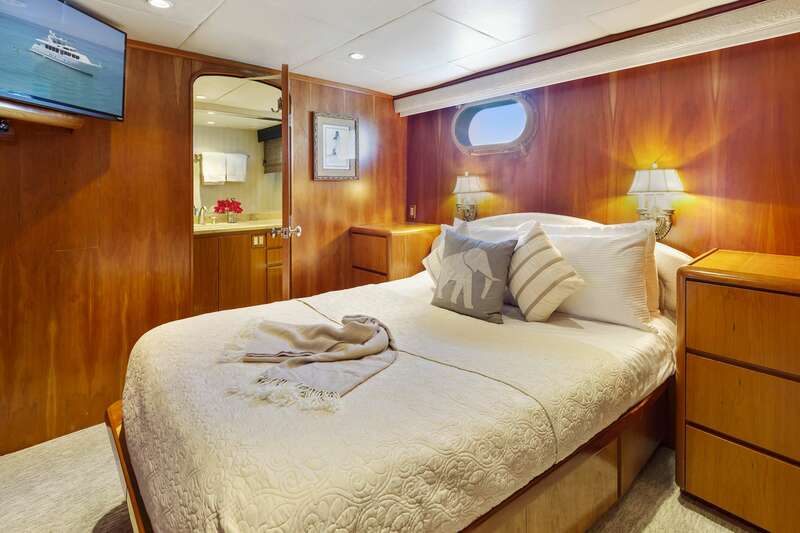 There are 2 guest staterooms both with ensuite head and shower. 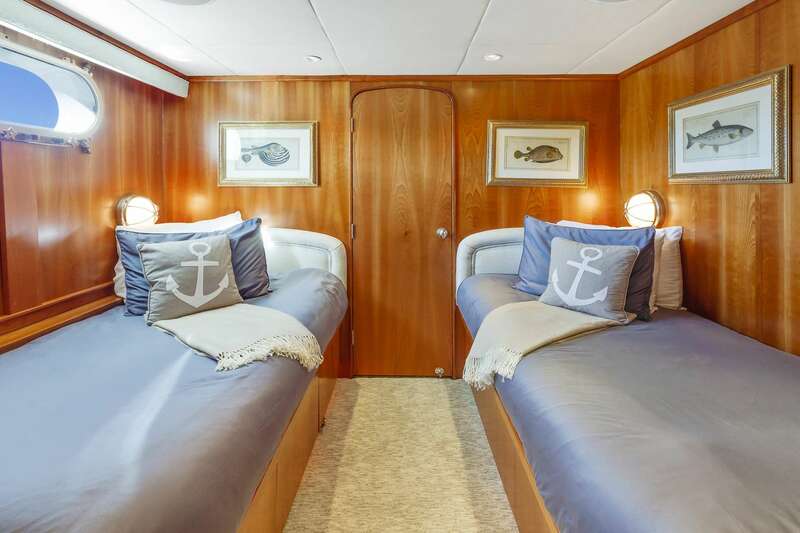 The port guest stateroom has a queen size bed and the starboard stateroom has two twin beds. The VIP stateroom is very private with separate entry forward of the galley. It has a centerline queen-size bed and ensuite bath with shower. 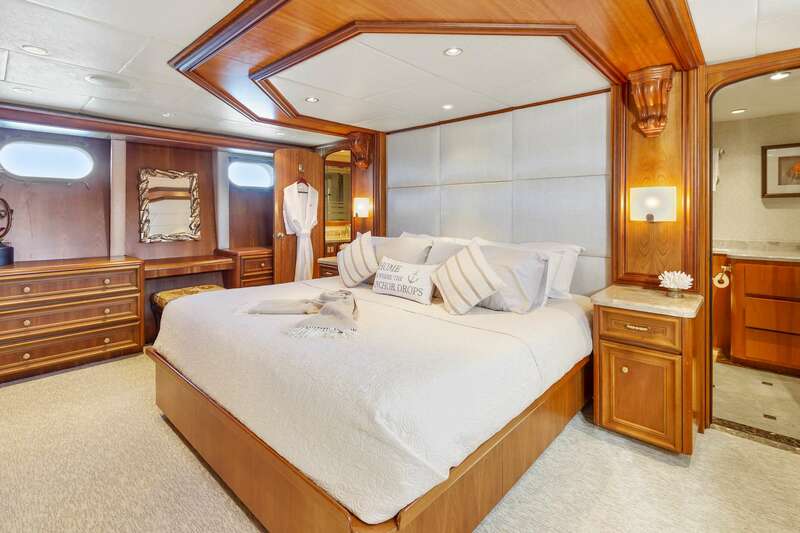 All staterooms have entertainment centers, ample storage and cedar-lined closets. 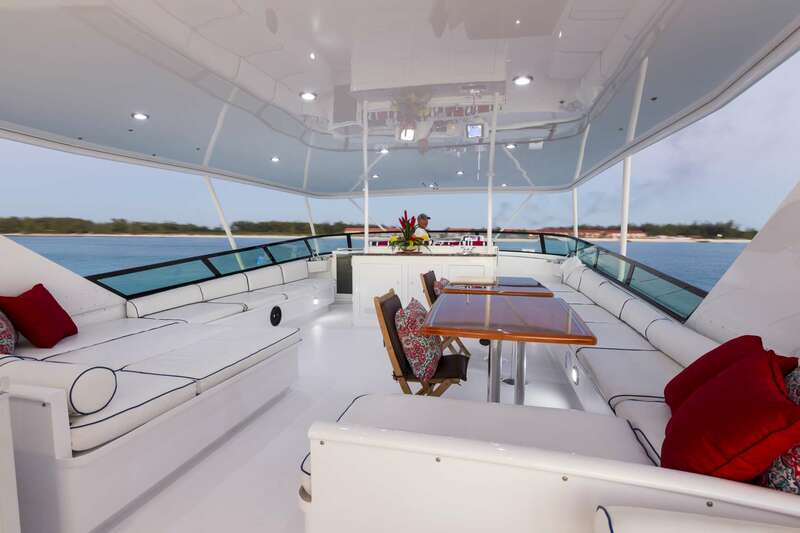 The flybridge can be accessed both from the aft deck or through the pilothouse. This is an especially comfortable area is equipped with hard top and banquette seating surrounding a table for ten (10). 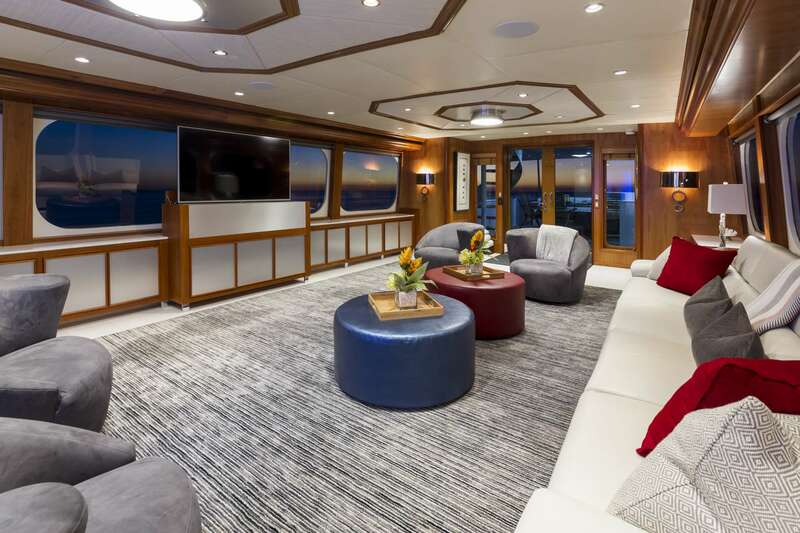 On the aft deck is a nice lounge area with all new deck furniture. 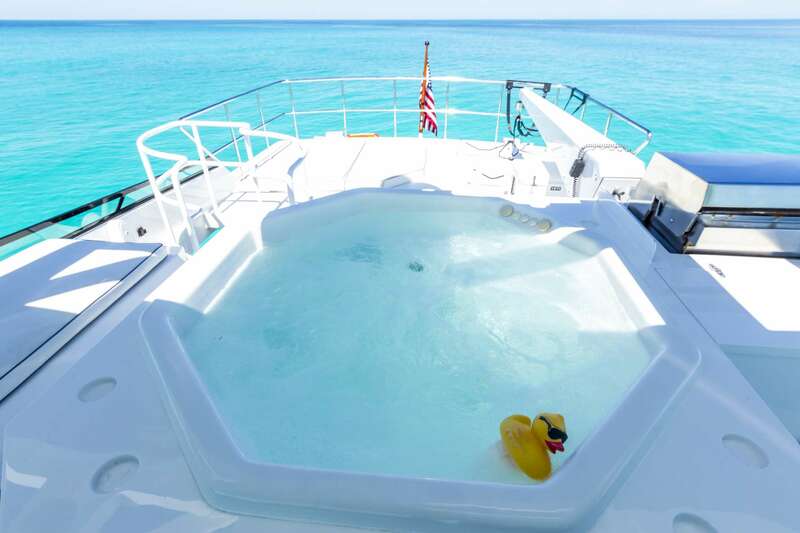 There is a professional-grade stainless steel grill with rotisserie, wet bar, Jacuzzi and sun pad area. Forward is a fully equipped helm & wing stations. Missing a toy you want? Just ask and we will get it. Captain Russ Nelson’s love and respect for the water started many years ago, family boating since the age of five, and has grown ever since. He started boating on Cooperstown lake where he was an enthusiastic member of the ski club specializing in barefoot water skiing, speed skiing and seven person pyramids. After finishing music collage in Syracuse Russ headed to Nashville where he attended Belmont College while working in the entertainment business, Warner Brothers and Poly Gram records. After graduating Russ started working on Barbra Mandrels yacht, the Lady Encore making the voyage down the Mississippi to Florida and on to the Bahamas where Russ did his first charter in 1983. Since then he as navigated many beautiful destinations of the world. First several years cruising all of the Bahamian Islands then taking three retired Navy Pilots on a Hinckley sail boat through the South Pacific, a trip of a life time. He then continued to sail the Caribbean to Trinidad and up to New Brunswick Canada. Captain Nelson has also built 3 yachts in Italy, one in Spain and the Cacique in Vancouver Washington. After building these vessels he cruised the Med; Italy, France, Spain, Greece and the Pacific North west. Russ has been in the entertainment business all of his life while enjoying music and many of the beautiful destinations of the world. He considers the Bahamas as one of his homes, Crystal clear blue water, great reefs, fresh food and wonderful people. It would be his pleasure to share these wonderful destinations and give you a cruise of a life time. Emily was born and raised in Long Island, New York less than a mile from the beach. Living so close to the water has taught her to love the sea and everything it has to offer. Emily studied hospitality and finished her education with a degree in Tourism Management. She began her maritime career working on Royal Caribbean Cruise ships and has always had a passion for travelling. Since landing her first yacht job, Emily has been to 17 different countries. Her favorite place she’s ever been is Thailand where she went diving with whale sharks. She loves meeting people from around the world and looks forward to creating the best experience for all guests! Ryan is from Long Island, New York. After growing up close to the water Ryan knew he wanted it to be a part of his career. He attended the Marine Mechanic Institute in Orlando Florida and shortly after began Yachting. Ryan has been in the industry for 3 years in which time he has traveled to several different Islands in the Bahamas. His charter experience and passion for all outdoor sports adds a fun atmosphere to our crew. Ryan is always ready to take on a new adventure and looks forward to sharing it with others! Chef Sandra is passionate about cooking and enjoy working with the freshest ingredients to prepare simple straight forward dishes that showcase the ingredients. She ran her own catering company, Sandra Lee’s Catering, preparing menus for wide variety of clients and events requiring a broad range of cooking styles. Well versed in a variety of cooking styles and cuisines. Sandra can create menus and/or adaptations of dishes to meet special dietary needs and preferences of guests and crew. Her training and experience on yachts and in catering has given her the ability to be very flexible and adaptive to changing situations.